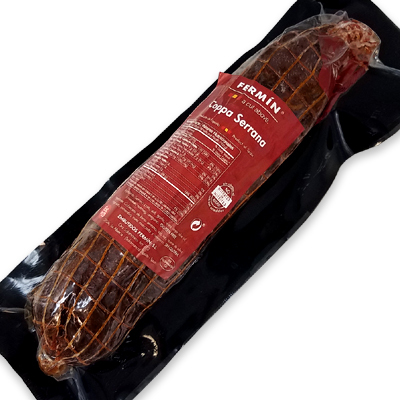 Serrano Copra Fermín is a meat different from loin meat. It is also called a headboard. The head of loin is a meat different from loin meat. Marinaded with Extra Virgin Olive Oil, paprika, garlic and sea salt for 5 days and then we air-cure it for around 4 months. The Serrano Copra Fermínis also a cut of the upper part of the pig, but it is in the part closest to the head. In this way, the head of loin turns out to be the union between the serrano prey and the loin meat. 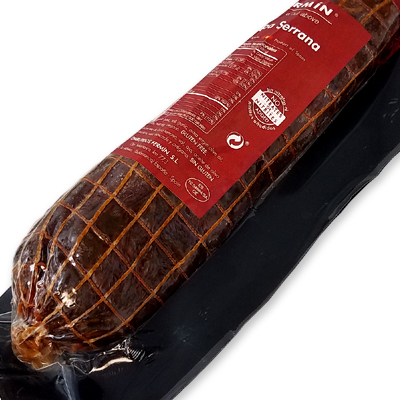 In Serrano Copra Fermín, the infiltrations of fat are much more visible, and the meat is somewhat harder in the mouth. The curing time is more than 3 months. 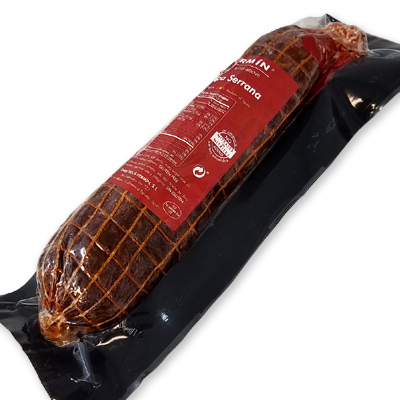 The type of meat is, therefore, the main difference between the serrano acorn loin and the serrano acorn-fed copra. The tenderloin has a meat more tender and leaner than the meat of the head of loin, slightly harder due to its origin.